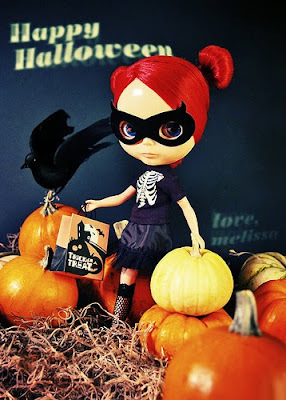 Happy Halloween to all of my wonderful friends! YAY Can't wait to see pics!!!! i wish we were there now so we could go with you guys... we miss you. BUT will see you oh so soon. You are the cutest! I LOVE your makeup (saw it on Twitter)! Fell in love with a calavera :)!